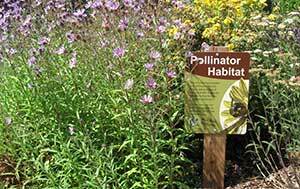 Mike LaPorte says it’s an exciting time for pollinator-friendly plants. The co-owner of Owl Run Nursery in Catlett, Va., located about 35 miles outside of Washington, D.C., says customers come to him specifically for Owl Run’s selection of native plants that attract pollinators such as bees, butterflies and birds. Plant propagators are also getting in on the action, he adds, as he finds new and improved species of pollinator plants to offer these eager customers. Owl Run is selling five times more pollinator plants than it was just three years ago, LaPorte says. While Owl Run Nursery’s pollinator plant boom may not be the norm in all areas of the country, industry experts agree that awareness of and interest in pollinators and the plants that attract them is growing. Pollinator-friendly plants are species that attract bees, butterflies and birds, as well as lesser-known pollinators such as bats, beetles, moths and flies. According to the U.S. Fish & Wildlife Service, these creatures help pollinate more than 75 percent of flowering plants and nearly 75 percent of food crops worldwide. But recent studies show that a growing number of pollinator species are headed towards extinction due to factors such as habitat loss, pesticide misuse and climate change, putting the world’s food supply and ecosystems at risk. Incorporating pollinator-friendly plants—such as aster, lantana, bee balm, milkweed, oregano and penstemon— into the landscape provides important habitats for pollinators to thrive. While perhaps not yet as popular among clients who prefer bee-free properties, LaPorte has seen a notable increase in developers incorporating pollinator gardens into their green spaces. Many of these developers install pollinator gardens as a step toward Leadership in Energy and Environmental Design certification or for government tax credits. Others realize these spaces may require less water, chemicals and maintenance than traditional landscapes. 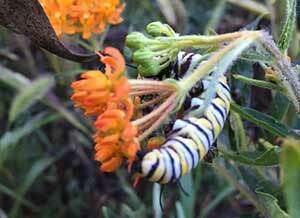 Regardless of the reason, LaPorte says this is a positive step for the pollinator movement. Jody Shilan, president of landscape design company Jody Shilan Designs in Upper Saddle River, N.J., says that while he has not seen an increase in clients requesting pollinator-friendly plants, most customers are receptive to the idea once they learn about it. Shilan typically incorporates pollinator-friendly plants into his landscapes whether customers request them or not, because there are several species—such as purple coneflower, veronica, salvia and butterfly bush—that are colorful, low maintenance and low cost, which are the primary requests of most clients. Many are also deer-resistant. Bernadette Mach, a recently graduated research assistant at the University of Kentucky’s Department of Entomology, says it’s important for contractors to be mindful when it comes to choosing pollinator-friendly plants because “they are not all created equal.” She emphasizes the benefits of pollinator-attractive woody plants that are not susceptible to pests and diseases and that don’t need to be treated with an abundance of chemicals. She says her lab likes the late-blooming seven suns flower tree and a midseason-blooming native species of St. John’s wort, which are both beautiful, pollinator-friendly plants that do not have any major known pest issues. Mach adds that it’s a good idea for contractors to consider the placement of pollinator plants, particularly for customers who are wary about the presence of bees. Maintenance is also an important aspect of pollinator-friendly gardens, which Shilan says is a good business opportunity for contractors. While pollinator gardens can be associated with having a “wild” appearance that may be off-putting to some homeowners, Shilan says this doesn’t have to be the case. Pollinator gardens can be clean and manicured, and maintenance of them can be an additional service offering for contractors. Contractors can educate themselves on pollinator garden maintenance through community college courses, garden clubs, botanical garden programs, books and even YouTube videos, he adds. By embracing pollinator-friendly plants and gardens, contractors can create attractive, low-maintenance landscapes for their customers that will make an important impact on the environment—a win-win for everyone.